The two most popular activities for Americans on the 4th of July are cookouts and fireworks. I must say that I am a fan of both, however, it is rare for me to venture out to see fireworks…unless I am roaming those 30,000 magical acres in central Florida. 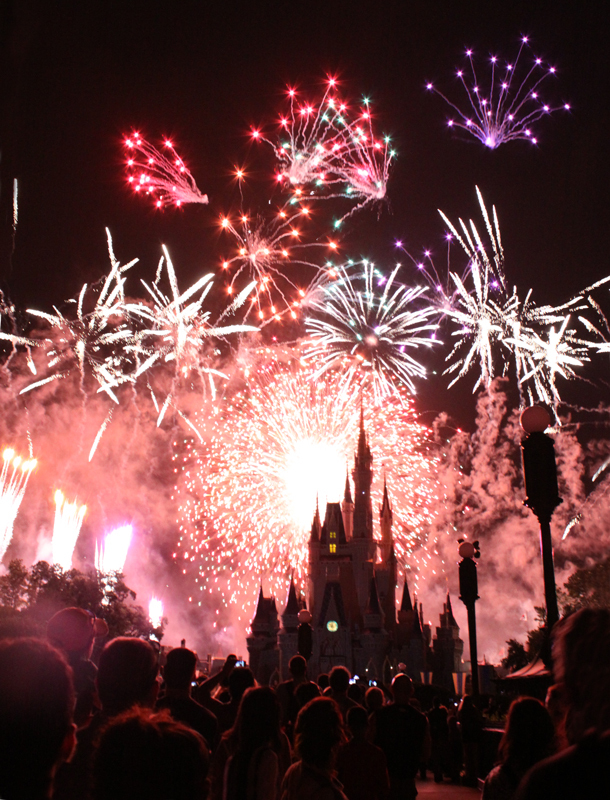 I have realized over the years that at the end of every fireworks display, I think (or say), “Disney does it way better!” Now I realize that no other place may have the finances or resources Disney does and I do not fault them for that. Usually I don’t even say that the show was bad. I just cannot help but be partial to what I grew up on. Everyone has something that they grew up on or first experienced that will always be better than anything somewhat similar that should follow. It may be your mom’s lasagna or music from your era. I am admitting that I most definitely have a bias when it comes to fireworks…however (there it is! You knew it was coming! ), if I were able to set my bias aside and remain completely objective I would still argue that Disney’s firework displays are superior to almost any other. 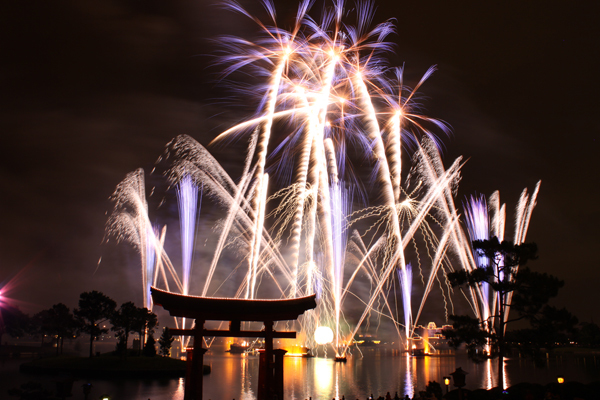 One advantage Walt Disney World has over any other location is the backdrop for a fireworks show. I think you will have a difficult time finding a more picturesque horizon to view fireworks. Between the numerous vantage points for IllumiNations in World Showcase and viewing Wishes behind one of the most recognized, most photographed buildings in the world, I’d say Walt Disney World has the advantage when it comes to location! As with everything else Disney does, they take it step further. They don’t just shoot up a bunch of mortars that light up the sky and make a big boom. They tell a story. The visually stunning display combined with inspiring music, and a gripping narration have been know to produce a few tears with some guests (I’ve heard). Where else will you see a fireworks show that can bring a tear to your eye? Debate over! Disney should have it right though, considering they produce multiple shows a night nearly every day out of the year. 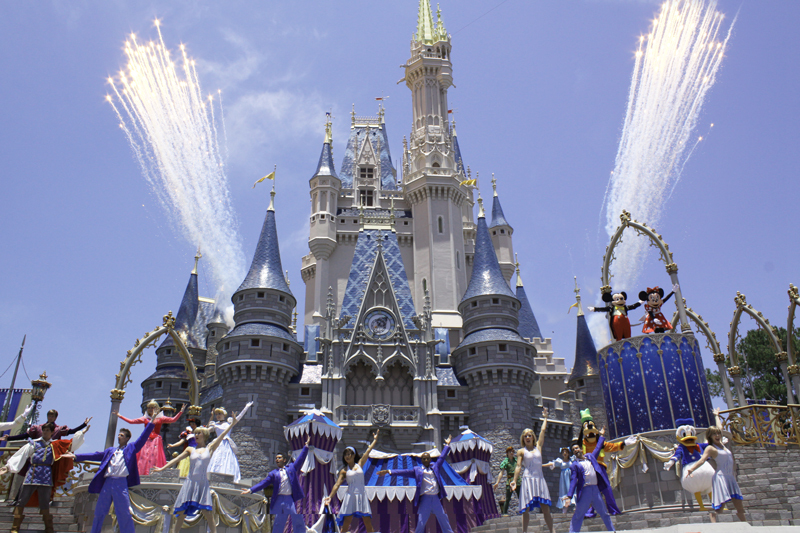 This schedule lands the Walt Disney World as the second largest purchaser of explosives in the United States, next to the U.S. military. This entry was posted in EPCOT, Magic Kingdom, shows and tagged 4th of july, cookout, fireworks, theme park, travel, vacation, Walt Disney World. Bookmark the permalink. I am a fireworks snob too. For the same reasons, but a different kind. You are like a guy who loves good coffee so much, he’ll only drink it if it’s the good stuff. I’m the one who loves the great coffee, but never turns down a free cup of Folgers. I go to as many fireworks shows as I can manage. I love seeing new fireworks. But, like you, I find it’s never as good as Disney. Even when there’s music played over the top, no one selects and times them with the music like Disney does. I do have to give a shout out to the Arlington Heights, IL fireworks show we viewed on Friday for the most explosive fireworks finale I have ever seen. I made a point to take my 2 year old son so that he can be ready to enjoy the fireworks at Disney next year without being afraid.